1/5 Scale 3 3/8" treaded lightweight tire takes a 3/16(4.7mm) Axle. Add the realism and final detail to your J-3 Cub with Du-Bro's Treaded Lightweight Cub Wheels. These J-3 Cub Wheels offer bolt together hubs and realistic looking Cub wheel covers. Available in three sizes, these lightweights feature a foam interior, yet have a tough and rugged exterior skin for durability. 1/4 Scale 4 1/4" treaded lightweight tire takes a 5/32(3.96mm) Axle and may be drilled up to 1/4" (6.35mm). Add the realism and final detail to your J-3 Cub with Du-Bro's Treaded Lightweight Cub Wheels. These J-3 Cub Wheels offer bolt together hubs and realistic looking Cub wheel covers. Available in three sizes, these lightweights feature a foam interior, yet have a tough and rugged exterior skin for durability. 1/3 Scale 5 5/8" treaded lightweight tire takes a 3/16(4.7mm) Axle. Add the realism and final detail to your J-3 Cub with Du-Bro's Treaded Lightweight Cub Wheels. 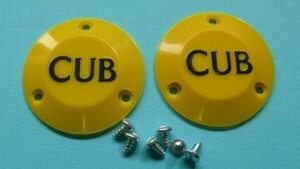 These J-3 Cub Wheels offer bolt together hubs and realistic looking Cub wheel covers. Available in three sizes, these lightweights feature a foam interior, yet have a tough and rugged exterior skin for durability. Smooth inflatable tires with positive seal air valves. Features two piece bolt together hubs and hub caps. Wheels can be inflated (or deflated) thru a tiny valve in the side of the tire. Axle diameter size 5/32 (4mm). Each item is 2 wheels. Inflation fitting included. Fits Dubro's 1/5 scale Cub Wheels. Replace broken on lost caps. Screws included. Contains 2 caps and 6 screws. Fits Dubro's 1/4 scale Cub Wheels. Replace broken on lost caps. Screws included. Contains 2 caps and 6 screws. Now you can build that vintage aircraft you've always wanted to. Our scale vintage wheels come in five sizes, 1/3 scale (9.33"), 1/4 scale (7"), 1/5 scale (5.60"), 1/6th Scale (4.66") and 1/8th Scale (3/50") and are made of lightweight solid foam material which is very durable. The Vintage series was designed from actual wheels of WWI and other early aircraft. Internally, the tire is secured to the hub which is paintable ABS plastic. The axle diameter is 1/8" and can be drilled out to 3/16". Each wheel weighs approx. 32g, 2/pkg. Now you can build that vintage aircraft you've always wanted to. Our scale vintage wheels come in five sizes, 1/3 scale (9.33"), 1/4 scale (7"), 1/5 scale (5.60"), 1/6th Scale (4.66") and 1/8th Scale (3/50") and are made of lightweight solid foam material which is very durable. The Vintage series was designed from actual wheels of WWI and other early aircraft. Internally, the tire is secured to the hub which is paintable ABS plastic. The axle diameter is 3/16" and can be drilled out to 1/4". Each wheel weighs approx. 75g, 2/pkg. Now you can build that vintage aircraft you've always wanted to. Our scale vintage wheels come in five sizes, 1/3 scale (9.33"), 1/4 scale (7"), 1/5 scale (5.60"), 1/6th Scale (4.66") and 1/8th Scale (3/50") and are made of lightweight solid foam material which is very durable. The Vintage series was designed from actual wheels of WWI and other early aircraft. Internally, the tire is secured to the hub which is paintable ABS plastic. The axle diameter is 3/16" and can be drilled out to 1/4". Each wheel weighs approx. 4.5oz, 2/pkg. Now you can build that vintage aircraft you've always wanted to. Our scale vintage wheels come in five sizes, 1/3 scale (9.33"), 1/4 scale (7"), 1/5 scale (5.60"), 1/6th Scale (4.66") and 1/8th Scale (3/50") and are made of lightweight solid foam material which is very durable. The Vintage series was designed from actual wheels of WWI and other early aircraft. 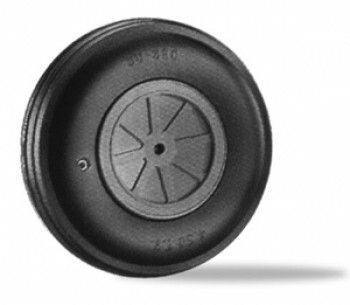 Internally, the tire is secured to the hub which is paintable ABS plastic. The axle diameter is 3/16" and can be drilled out to 1/4". Each wheel weighs approx. 7oz, 2/pkg. Now you can build that vintage aircraft you've always wanted to. 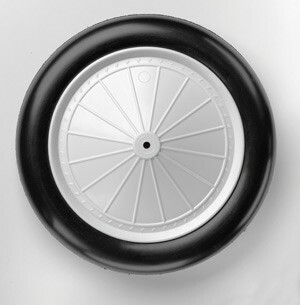 Our scale vintage wheels come in five sizes, 1/3 scale (9.33"), 1/4 scale (7"), 1/5 scale (5.60"), 1/6th Scale (4.66") and 1/8th Scale (3/50") and are made of lightweight solid foam material which is very durable. The Vintage series was designed from actual wheels of WWI and other early aircraft. Internally, the tire is secured to the hub which is paint-able ABS plastic. The axle diameter is 3/16" and can be drilled out to 1/4". Each wheel weighs approx. 20.5oz, 2/pkg. Diameter 3.75" (95mm) Tire Width 1.160" (29.4mm) Rugged treaded wheel is narrower in width to fit inside wheel pants and retracts easier. 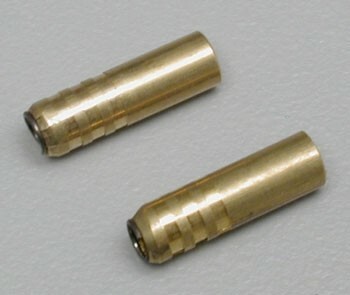 Comes drilled for 3/16" (5mm) axle diameter and can be drilled out to 1/4" (6mm) if desired. Package contains one wheel complete with positive seal air valves and inflator adapter. Package Weight = 4.8oz. Diameter 4.0" (101.6mm) Tire Width 1.175" (29.8mm) Rugged treaded wheels are narrower in width to fit inside wheel pants and retracts easier. Comes drilled for 3/16" (5mm) axle diameter and can be drilled out to 1/4" (6mm) if desired. 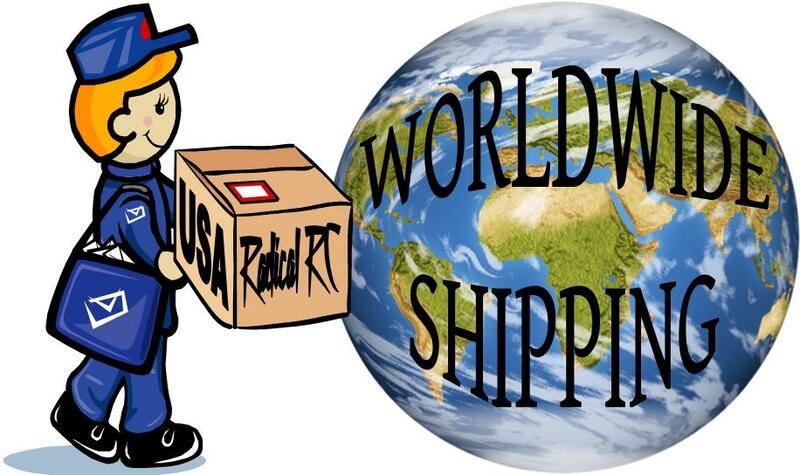 Package contains one wheel complete with positive seal air valves and inflator adapter. Diameter 4.5" (114.3mm) Tire Width 1.175" (29.8mm) Rugged treaded wheel is narrower in width to fit inside wheel pants and retracts easier. Comes drilled for 3/16" (5mm) axle diameter and can be drilled out to 1/4" (6mm) if desired. Package contains one wheel complete with positive seal air valves and inflator adapter. Diameter 5.0" (127mm) Tire Width 1.5" (38.1mm) Rugged treaded wheel is narrower in width to fit inside wheel pants and retracts easier. Comes drilled for 3/16" (5mm) axle diameter and can be drilled out to 1/4" (6mm) if desired. Package contains one wheel complete with positive seal air valves and inflator adapter. Diameter 5.5" (139.7mm) Tire Width 1.75" (44.4mm) Rugged treaded wheel is narrower in width to fit inside wheel pants and retracts easier. Comes drilled for 3/16" (5mm) axle diameter and can be drilled out to 1/4" (6mm) if desired. Package contains one wheel complete with positive seal air valves and inflator adapter. Diameter 6.0" (152.4mm) Tire Width 1.90" (48.2mm) Rugged treaded wheel is narrower in width to fit inside wheel pants and retracts easier. Comes drilled for 3/16" (5mm) axle diameter and can be drilled out to 1/4" (6mm) if desired. Package contains one wheel complete with positive seal air valves and inflator adapter. This is the fitting you use in conjunction with your compressed air source to force air into Dubro inflatable tires. 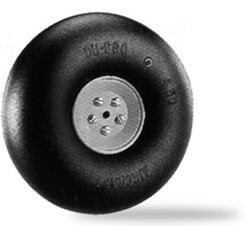 Use to replace leaky or faulty valves in your inflatable Du-Bro wheels. Could also be used as mini pressure port into your pressurized system for other purposes. 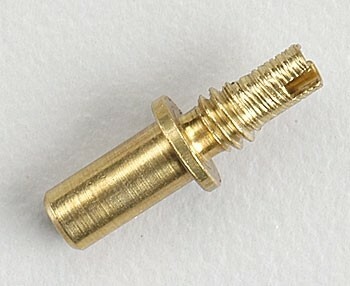 Tiny Schrader valve type fitting.